I went to see a potential client in Clapham on Saturday. They live in a beautiful Victorian town house and are slowly restoring its original features. They’re very keen to improve the look and feel of the front garden first, the back garden will come later. 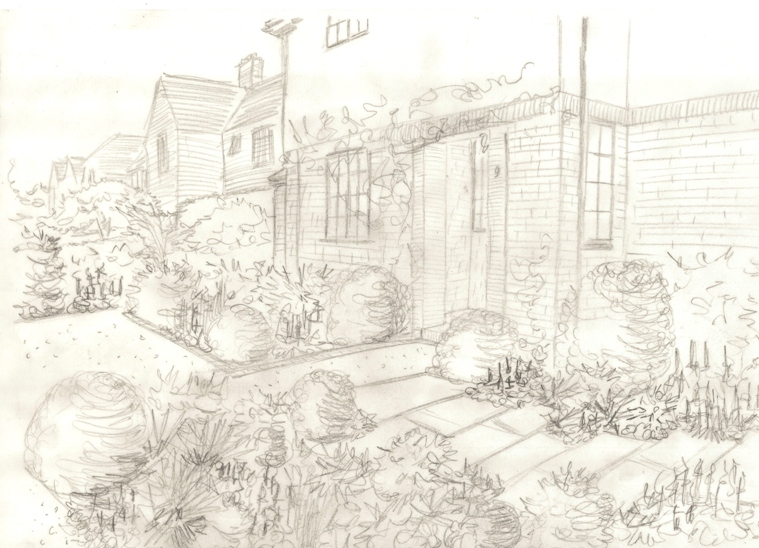 As I walked down the road to their house it struck me that not one of the front gardens was inspiring or beautiful. 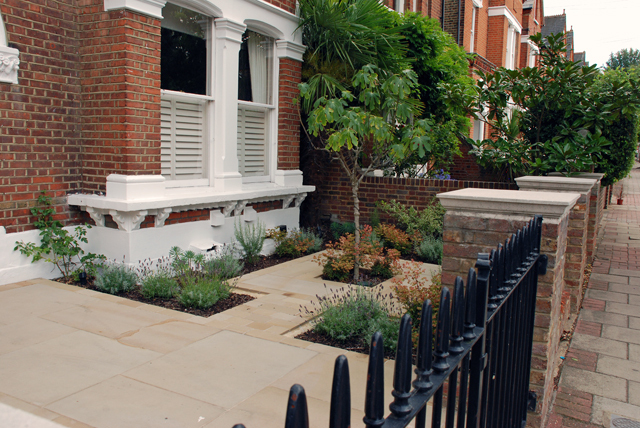 Why are front gardens so often overlooked? If you read my blog regularly you’ll know that we redesigned and built our front garden a couple of years ago and even now that the novelty of having a new garden has worn off, it still makes me smile when I open the door or come home. 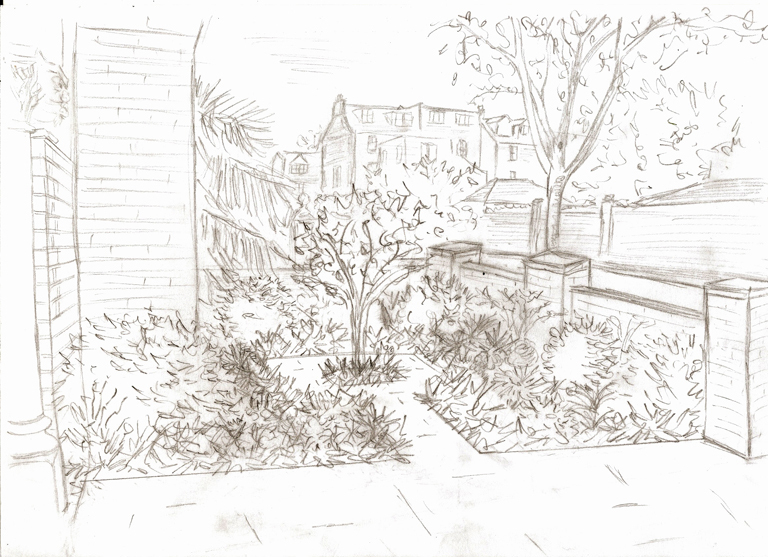 You may not want to sit out there and enjoy a cup of coffee or read a book, but front gardens are the only part of your outside space that you walk through whatever the weather, time of day or season, so why wouldn’t you want it to inspire you? Front gardens are the window to your home. They need to be practical of course, somewhere to park your car, keep the rubbish bins etc, but what’s stopping you from making more of the space you have? 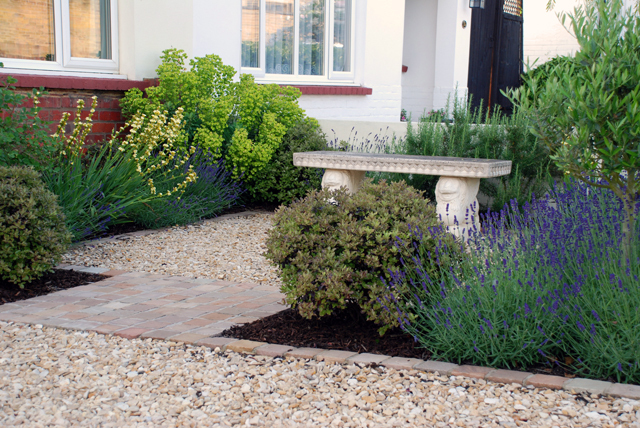 Front gardens can be beautiful and inspiring too, they don’t have to be solely about function. Trust me, they really do have the ability to make you smile!